Moving season can be a very exciting time of the year for moving company owners. It’s the time of year when you know things are going to get busier, naturally. Moving season runs from about May through September each year, even though moving companies will start to feel things getting busier in March and April. You’re going to need the most out of your staff during this time and you want to get them excited and onboard for the peak moving season. Every year we would throw what I called a Moving Season Kick-Off Party to signify that moving season is here and build excitement amongst my team. We would have the party in April or May at various venues. We had BBQ’s at the office, we rented out a pavilion at a city park and even took everyone to a baseball game. You can come up with whatever sounds good to you and works with your budget. It doesn’t have to be extravagant. Builds rapport with your staff – When do you really get to spend time with your team outside of the office? This is a great opportunity to get to know them and build some rapport. Get family buy-in – Moving season may require that your team works extra hours to meet the demand. It’s important that their families understand that it’s a busy time of year and buy-in and like the company that they’re working for. Builds comradery – Having this party will help everyone within the company feel a sense of “togetherness”. A way for everyone to get to know one another outside of work and unite over a common objective. Creates excitement for moving season – It will signify that moving season is here and create excitement around it. People can anticipate that things will be getting busy and it creates an optimistic buzz in the office. 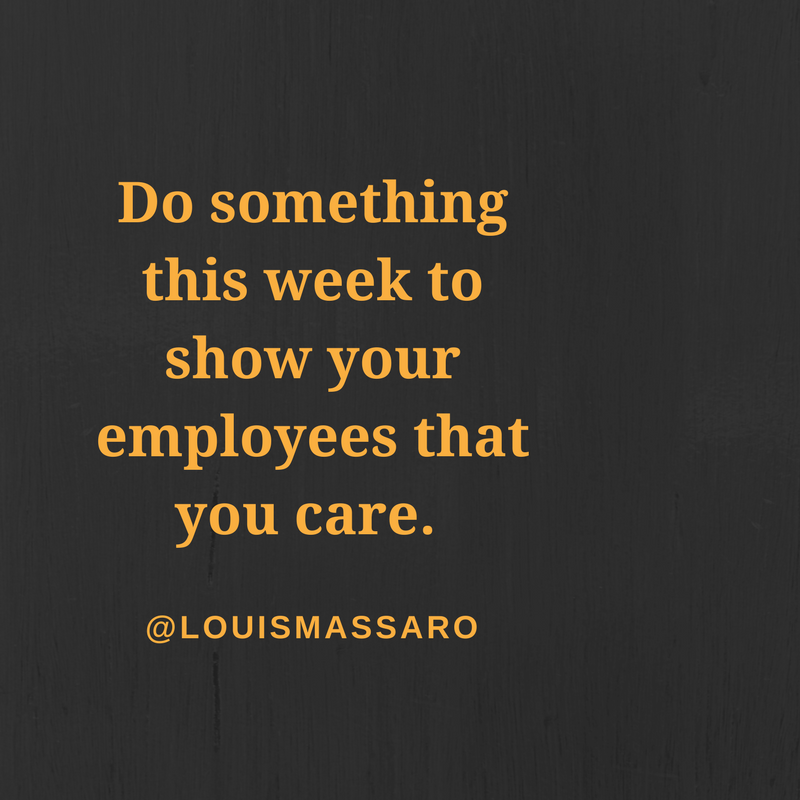 Shows that you care – This shows your employees (and their families) that you care about more than just business, business, business. It will go a long way in developing trust and rapport with your team, which will make them want to work harder for you. If you haven’t done this before, I think you’ll find that it’ll become a yearly tradition that you and your team will look forward to! 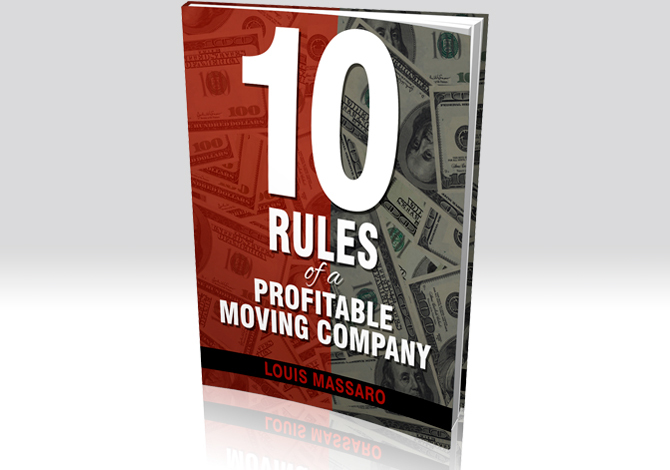 Hey my friend, it’s Louis Massaro, CEO of Moving Mastery and founder of Moving Sales Academy. I don’t know about you, when moving season’s coming around, I get super excited about it every single year. You know it’s that time of year, where you’re gonna be busy no matter what. Typically from May to September, in the US at least, would be moving season. You just know that that’s the time that you’re gonna to be really busy, right? That’s the time of the year that you can definitely raise your rates. That’s the time of the year where everybody’s able to book moves at that time, right? But, at that time of the year, you’re also gonna rely on your staff more. You’re gonna need them to work harder. You’re gonna need your dispatcher to work harder. You’re gonna need your movers to work more hours. You’re gonna need your sales people to possibly work some more time. 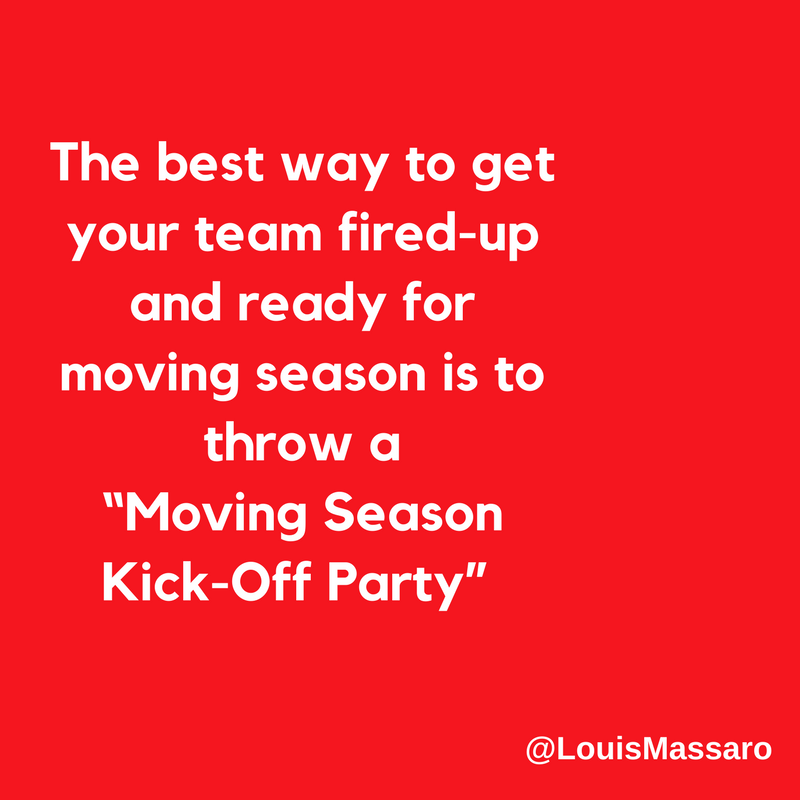 You’re gonna require a lot more out of everybody and the best way to get everybody on board for moving season, in my experience, has been to throw a moving season kick off party. This is something we would do every year, either April or May, where we would essentially throw a party for everybody in our staff and their families. Where they would come and we’d get together and we’d set it off for the year, kick off moving season because we know it’s that time of year where people are going to be away from their families a little bit more. You’re going to be away from your family a little bit more, you’re going to be a little bit busier working some more hours than maybe you usually do. So for me, every year having this moving season kick off party was just… It would just signify moving season’s here, let’s go. Let’s make this happen. And we would do it, at first, we’d do just a barbecue at the warehouse. Get the grill out, hamburgers, hot dogs, a little barbecue, nothing special. But then we started to rent out pavilions at city parks and things like that where we could have some volleyball going on, some horseshoes, sometimes we’d get a bounce-house for the kids. Other times, we’d take everybody to a baseball game. You have to look at what’s feasible for you. A baseball game? I don’t know about where you’re at in your team, but typically, the seats are pretty cheap for a baseball game. Like, during the day. And it’s just something that you could do to get everybody together. I’m going to give you five reasons why it’s important to do this, ’cause you may be thinking “I don’t need to throw a party, what’s the point? They’re not going to appreciate it.” I’m going to give you five reasons why I think it’s important to throw a season kick off party for your staff. Number one, it builds rapport with your team. 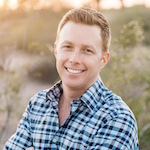 A lot of times as the owner, you don’t really have the time to sit and talk and show interest in your employees and their personal life and what they have going on, or get to know them. By having this one party, it’s something that you could get to know them a little bit, talk to them, let them see you as a normal person and not just as the boss. It helps build rapport with your entire staff. Second reason, you get family buy-in. Meaning, everyone that works for you has a family. 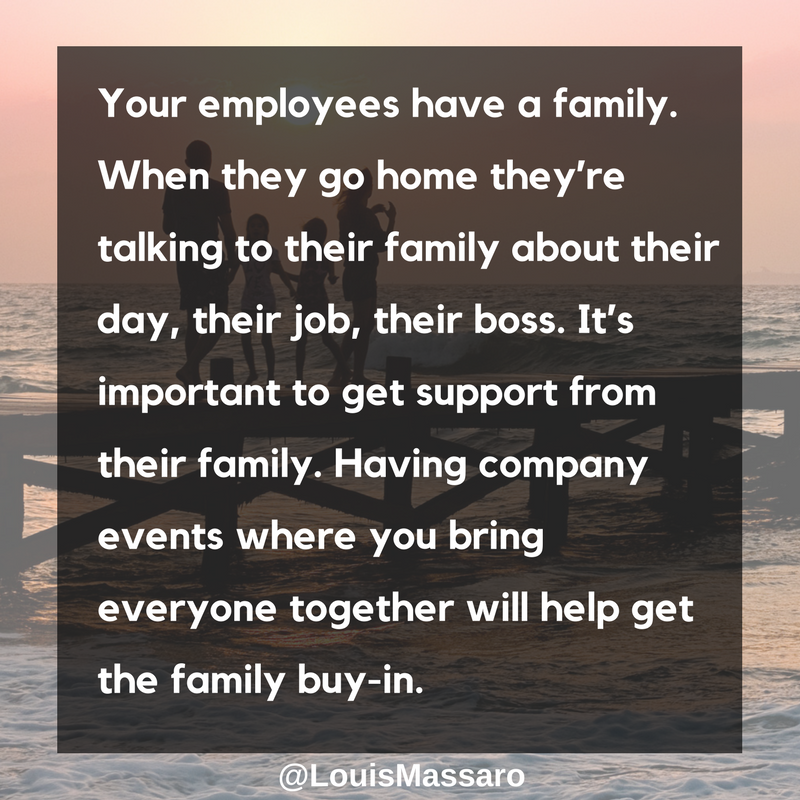 When they go home, they’re talking to that family about how their day was, how their job is, how their boss is, how the company is. If you bring the family into the fold and get them to come join you at a fun company outing, it makes them feel a little bit better about their spouse or their father or whoever, going to work every day to work for you and your company. When you get them involved, it really helps build a family environment for everybody. Third reason, have a season kick off party, it builds comradery amongst staff. Movers that maybe never really hung out with each other or spent time with each other or office staff that never really got to know each other outside of work; it gives everybody that opportunity to do that. To where, when you go back to the office, there’s a stronger bond and sense of comradery between everybody. Like, “Hey, we’re in this together. Moving season’s coming and it’s going to busy, but we’re in this together.” Really important. Number four, it creates excitement for moving season. Don’t just roll into moving season like nothing’s happening. You know it’s gonna get busy, let everybody get excited about it. Your sales team, hopefully, they’re gonna be able to make more money if they’re on commission in moving season. You, as the owner, are going to make more money. The people you have incentivized are going to be able make more money. And it’s an exciting time. You should never look at moving season as “ugh, more work”. It’s an exciting time, it’s going to be busy. There’s going to be moves flowing in, you need to create some excitement around it. And the fifth reason why you should have a moving season kick off party, it shows that you care. You do things for your employees because you want to show them that you care and it’s not just “hey come to work, I’m gonna pay you and then go home.” That’s why you do a Christmas party, that’s why you do a season kick off party. To show them that you care about them as an individual. Listen, take this time this year to put something together. It doesn’t have to be extravagant, but anything where you can get everybody together. My suggestion, the best bet I think, would be to find a place, a city park or something where you can get a pavilion, get everybody to go there and have kind of a daytime BBQ activities. 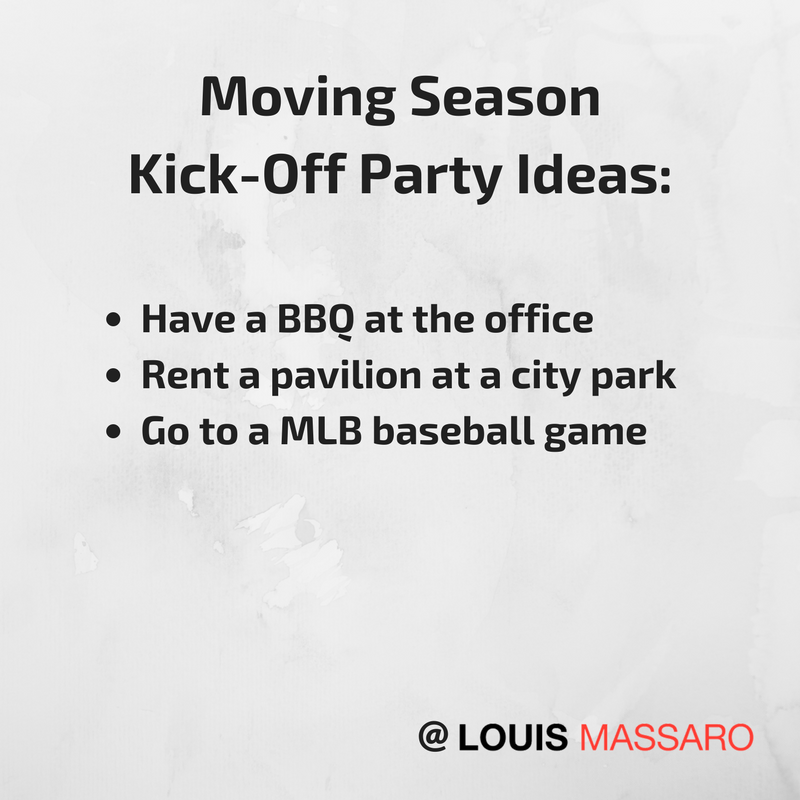 Build a comradery, get everybody excited about moving season and kick it off in the right way. And hopefully, you go out there this year and you crush it in moving season. ‘Til I see you next time, go out there every single day, profit in your business, thrive in your life, I’ll see you next time.